In a large bowl, beat butter and sugar at medium speed with an electric mixer until fluffy, stopping occasionally to scrape sides of bowl. Add eggs, one at a time, beating well after each addition. In a medium bowl, whisk together flour, baking powder, baking soda, and salt. Add flour mixture to butter mixture in thirds, alternating with coconut milk and buttermilk, beginning and ending with flour mixture. Add vanilla, beating to combine. Divide batter evenly among prepared pans. Using a wooden pick, poke holes in tops of layers; brush each layer with 1⁄4 cup cream of coconut. 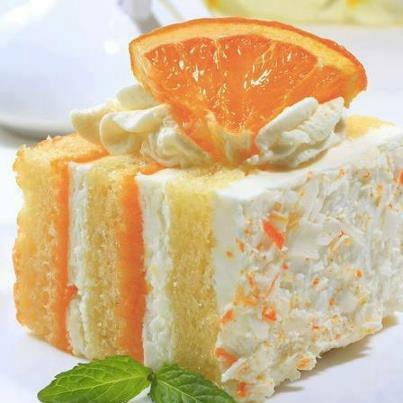 Spread Coconut Whipped Cream in between layers and on top and sides of cake. 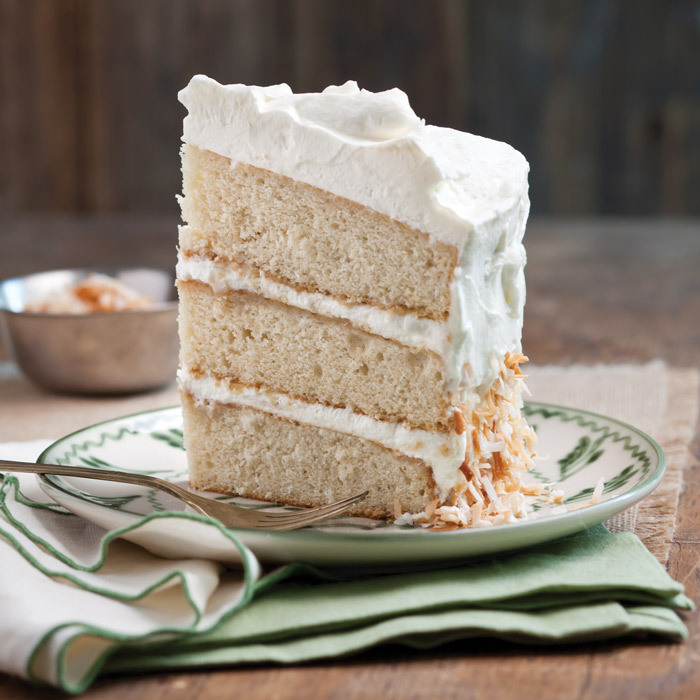 Press toasted coconut onto sides of cake as desired. Store, covered, in refrigerator up to 3 days. In a medium bowl, beat cream at medium speed with an electric mixer until stiff peaks form. Add cream of coconut; beat until combined. In a medium bowl, mix dry ingredients; add vegetable oil, eggs, vinegar, vanilla and water. Pour into greased 9 x 13 pan or 2 – 8″ greased cake pans and bake at 350 for 25 minutes. Cream butter for a few minutes on medium speed. Turn off the mixer. Sift 3 cups powdered sugar and cocoa into the mixing bowl. Turn your mixer on the lowest speed (so the dry ingredients do not blow everywhere) until the sugar and cocoa are absorbed by the butter. Increase mixer speed to medium and add vanilla extract, salt, and milk/cream and beat for 3 minutes. If your frosting needs a more stiff consistency, add a little more sugar. If your frosting needs to be thinned out, add additional milk 1 tablespoon at a time. I learned almost everything about cooking at the feet of my mom, who’s an excellent cook. She made homemade breads, pies, cakes, pastries, breakfasts and homemade dinners for our family, and as my sisters, brother and I got older, she let us help. These dishes are not just any old dishes mom taught me – they’re some of my favorites of her specialties. 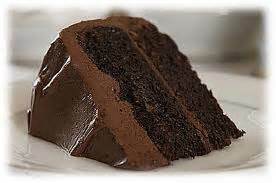 One of my fondest memories was when I was young, my mom baked a delicious chocolate cake with chocolate icing. On top she covered it with walnuts. That had to be the most delicious chocolate cake I ever tasted. 3/4 c. (1 1/2 sticks) butter, room temp. Preheat oven to 350 degrees. Grease 3 9-inch layer cake pans. Sift flour into large bowl. Add sugar, butter, 3/4 cup milk, chocolate, baking soda and salt and beat with electric mixer 2 minutes at medium speed. Add remaining milk, eggs, baking powder and vanilla and beat 2 minutes more. Pour into prepared pans and bake in middle of oven 30 minutes or until cakes test done and have pulled away slightly from sides of pan. Allow to cool completely on racks . Place first layer on plate and frost. Repeat with second layer. Top with third layer and frost top and sides of cake. 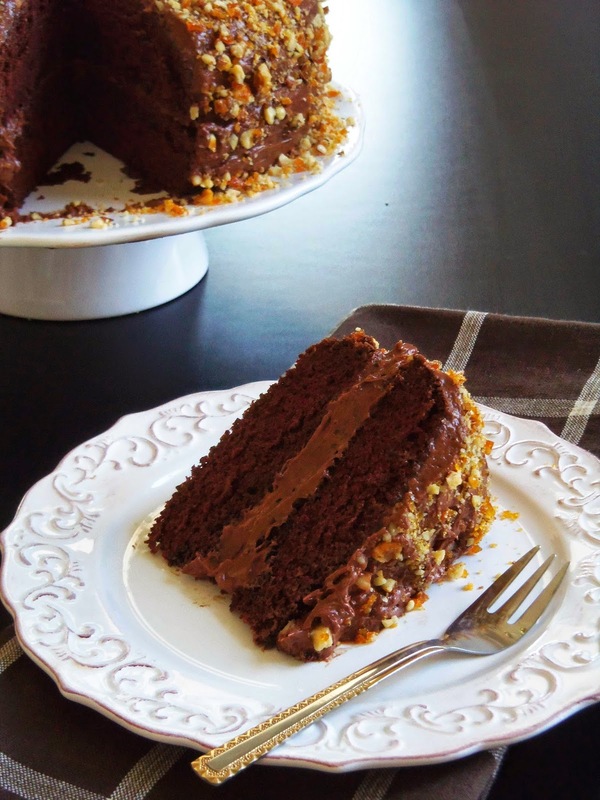 Decorate top of cake with toasted walnut halves. Soften chocolate and butter in top of double boiler over hot, not boiling, water. Stir in remaining ingredients. Place top of double boiler in bowl of ice and beat frosting with mixer about 5 minutes or until it reaches spreading consistency. Ice cake. I made them and they are awesome. Better than the real thing, I think. 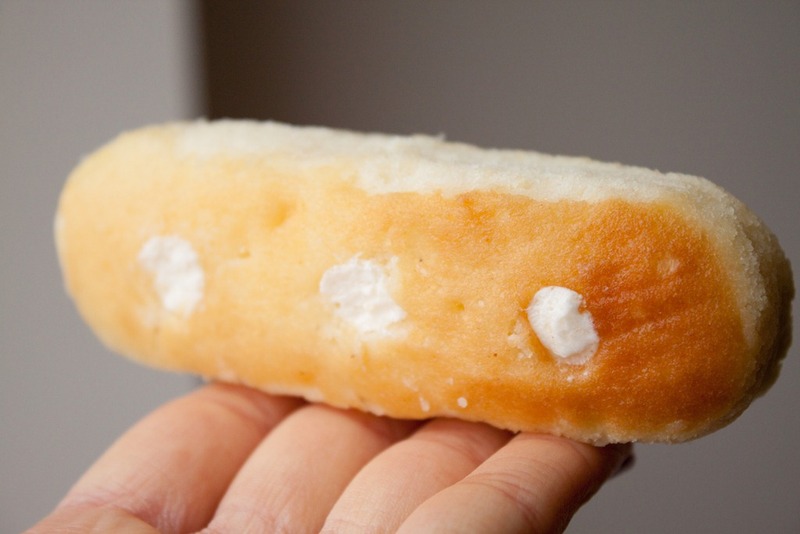 The cakes are light and fluffy with just about nothing to them and the filling is sweet and creamy. Beat egg yolks for a minute, then add 1/2 teaspoon vanilla and continue beating. Gradually add sugar and beat for another 2-3 minutes until pale in color and double in size. Add the flour and mix it in. Fold in egg whites mixture just until fully incorporated. In a small saucepan, combine flour and milk until smooth. Bring to a boil. Cook and stir for 2 minutes or until thickened. (Mixture will be very thick) Cool to room temperature. In a small bowl, cream butter and shortening until light and fluffy. Beat in vanilla and cooled milk mixture until smooth. Beat in confectioner’s sugar. 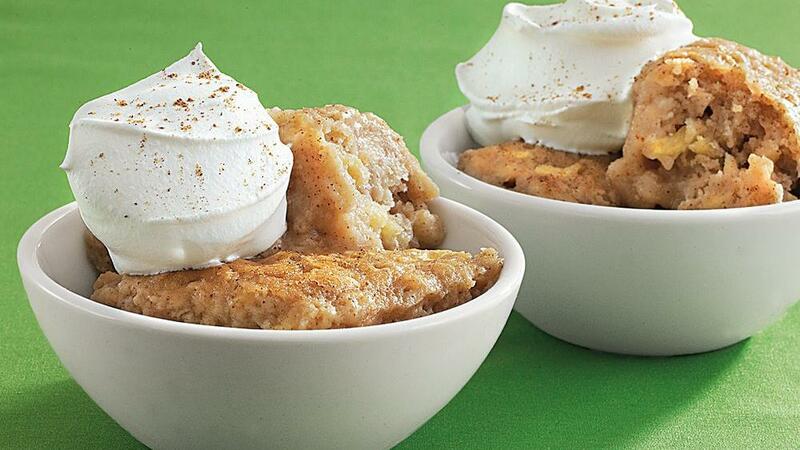 This apple pudding cake (“Apfel-Puddingkuchen“) tastes just like a traditional Apple Bread Pudding recipe. It’s one of those easy dessert recipes that’s delicious served warm with ice cream and sprinkled with cinnamon. In a deep 9 X 9 inch pan, mix together the sugar, flour, baking powder, salt, and cinnamon. Add the apple slices and mix until coated with the flour mixture. Add the milk that has been mixed with the vanilla or almond flavoring. Stir until everything has been moistened. Smooth out the top. Dot the butter on top. Blend butter, sugar, spices and salt. Beat egg yolks and add. Sift in baking powder and flour then add the water and honey. Put fruit and nuts through food chopper and flour well. Follow Solomon’s advice for making good boys—1st clause of Proverbs, 23:14. Fold in stiffly beaten egg whites. Bake for 1 hour in 375-f oven. My mom baked this cake every year at Christmas time. 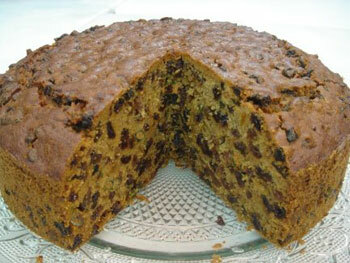 I grew up eating this yummy jam cake and looked forward to the time of year when she baked it. This is very good to have for breakfast, which is what I do. I personally don’t like it with the Caramel Icing, but if you like to have icing, the recipe is included. It’s very good with just a powdered sugar dusting. The icing is very rich. Cream shortening until light and fluffy. Add sugar and cream together. Add eggs. Sift flour before measuring. Sift together flour, salt and spices 3 times. Add soda to buttermilk and add alternately with flour mixture to shortening. Drench raisins and pecans in flour and fold into mixture. Fold in jam. Grease and flour a tube pan. Pour mixture into pan and bake for 1 hour and 15 minutes. In a pan on the stove top, add enough water to the brown sugar to dissolve. Bring to a boil. Remove from heat and add butter and vanilla. Add sifted confectioner’s sugar until desired stiffness desired. 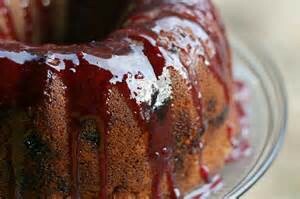 Keep caramel icing over hot water while icing cake so it does not harden.